and a wonderful environment to meet like-minded yogi adventurers and travellers. 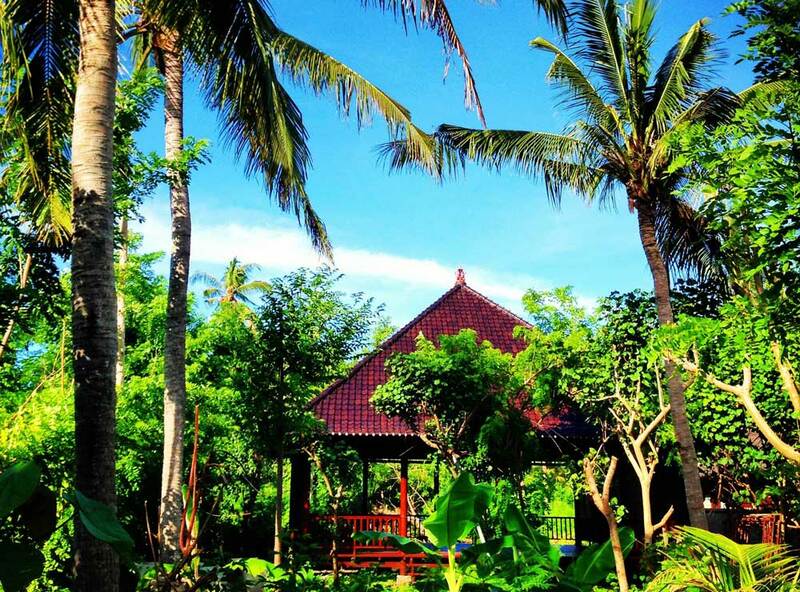 Our fabulous shala sits amongst a tranquil garden, just meters from a sandy beach and turquoise waters of the healing ocean, among shady trees, coconut palms, tropical flowers and natural beauty, providing a welcoming space for practice, relaxation, rejuvenation and all things grounding and calming. It is built entirely on a foundation of love and respect for the ocean, for nature and for the community. It is the perfect place to thrive in health and happiness and all things yoga and water! We welcome yogis of all levels to our wide variety of daily drop in classes! Join us for your daily dose of yoga bliss whether that comes in the form of vinyasa flow, hatha flow, yin yoga, restorative yoga or ocean lover flow or yin and yang. To share our passion and love of yoga with absolutely everyone. We invite surfers to come and stretch after hitting the waves, divers to learn how to use their breath to relax, enjoy their dives and better control their air consumption underwater, all yogis to explore the beauty of yoga on the water with SUP yoga classes, explore the beauty of yoga underwater, and we want to share our passion with yogis who don’t even know that they want to be yogis yet. Serenity Yoga Lembongan is designed to be a place of learning and sharing, a warm yet lighthearted environment of growth and personal development, along with a lot of smiles and positive energy! Whether you are here to stretch or sweat, breath and relax or embrace your spiritual potential our yoga classes offer something for everyone. 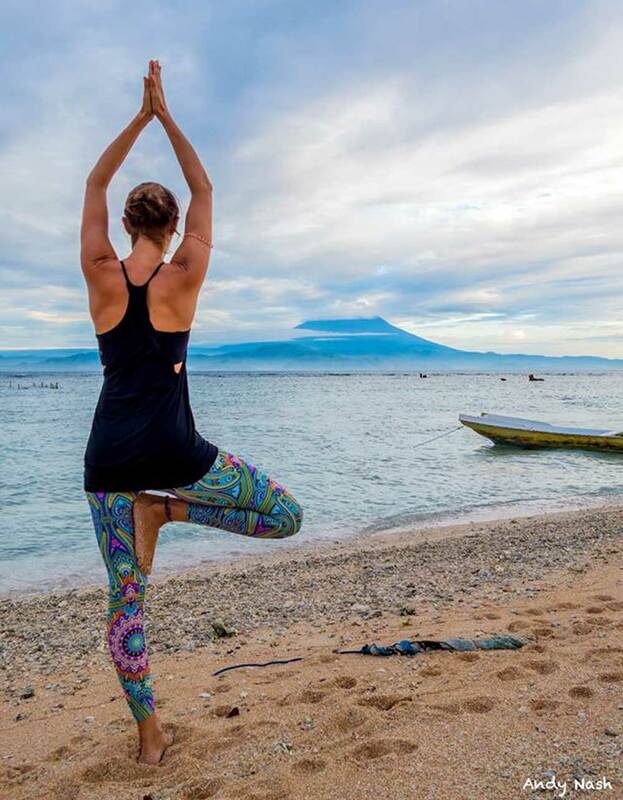 their travel and yoga stories, and island lifestyle with you. Caroline is an energetic and passionate yogi, manta ray lover, dive instructor, flip flop wearing kind of traveller and paradise island lover. Her love of all things yoga will inspire you to learn and develop your yoga practice, to deepen your own personal awareness, and join her in the adventure of living a life that you love! She is an E-RYT 500 Yoga Teacher and a PADI Dive Instructor. She is also a published author with a weekly column with DoYouYoga.com and YogaTravelTree.com on all things yoga. Her intention is to share her passion for yoga as far as possible, and to encourage others to learn to experience their full potential, helping them to become the best version of themselves through the journey of yoga. When Caroline isn’t on her yoga mat, you can find her underwater diving, free diving or snorkeling with the beautiful manta rays on our paradise island. Diving is her moving meditation, and the ocean her second passion. Caroline came to yoga after a lifetime of marathon training, track sessions, triathlons and short distance races. It helped to put her body back together after numerous injuries, and it is here that her passion for yoga began. Now she is a self-confessed yoga addict, excited to share her energy with you! to share their yoga experiences and passions with you! Keep an eye on our Blog to see the most up to date news! and don’t miss a thing that is happening at Serenity Yoga Lembongan. and always welcome teachers who want to hold their own retreats and workshops in Nusa Lembongan. If you are interested in hosting a retreat at our beautiful Shala, please contact us.